LEE COUNTY, Fla. -- We're learning new information about how the red tide is affecting our marine life. 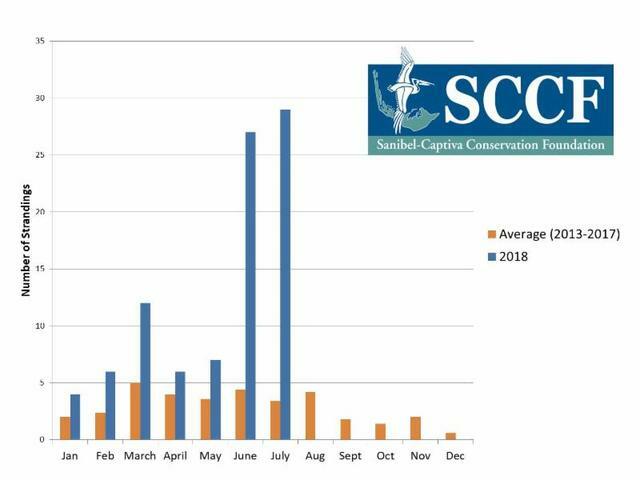 The Sanibel Captiva Conservation Foundation says that since the beginning of the current red tide bloom in October 2017, 91 sea turtles have been found stranded on the beaches or in waters near Sanibel and Captiva. More than 50 of those 91 were found in June and July of 2018 alone. 58 were dead, and 33 were alive and taken to the CROW wildlife clinic on Sanibel for treatment. Of the 91 strandings, 53 have been mature adults. "We've seen a large increase in the number of sea turtle patients affected by red tide this year, compared to last year. This year at this time we've treated 33 sea turtles for a variety of reasons, including red tide. Last year at this time we were only at 10 sea turtle patients. So it has significantly increased compared to last year," says a CROW representative. The Sanibel Captiva Conservation Foundation says turtles have been sampled to help them understand how the algae blooms affect sea turtles. 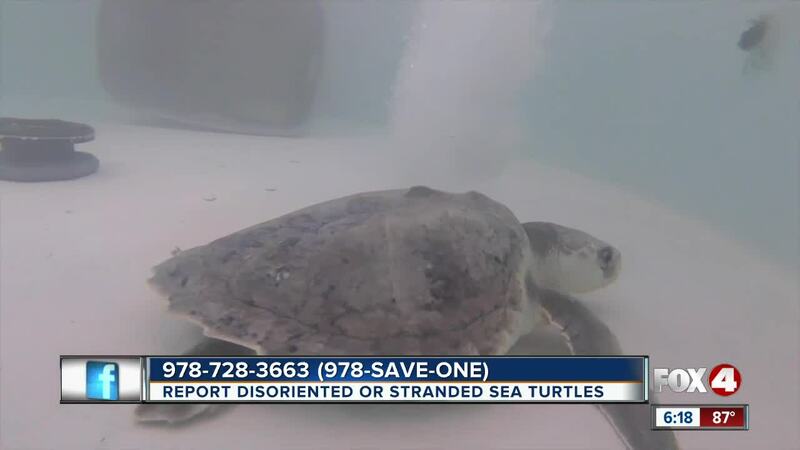 You can report disoriented or stranded sea turtles to 978-728-3663 (978-SAVE-ONE). Allen Foley of the commission's Fish and Wildlife Research Institute said Thursday that's about double the average number of turtle deaths in those waters every year. Loggerhead and Kemp's ridley sea turtles are the two species primarily affected by the bloom. Both are federally protected turtles.